Turquoise Label HEETS have a smooth menthol flavour, giving users a refreshing and cooling sensation during all IQOS sessions. Designed exclusively for use with the QIOS simply insert the Turquoise HEETS stick into the IQOS Holder and wait for the LED light to turn green. As with menthol cigarettes, you can enjoy each session for around 6 minutes which equates to approximately 14 puffs per –tobacco stick. 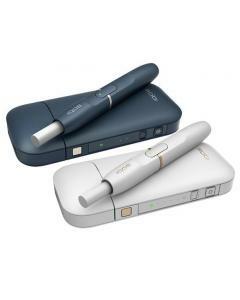 Each HEETS stick contains 0.5mg of nicotine, however unlike smoking, IQOS uses pioneering heat-not-burn technology. This ensures that no smoke is produced during your IQOS use, reducing risks caused by burning which are associated with cigarettes. This box of Turquoise HEETS includes 20 tobacco sticks. Alternatively, if you prefer a stronger tobacco taste, you can learn more about our Yellow and Amber options. Smoke-IT accepts the following forms of online payment.